(CBS) - Selyna Bogino is an Italian acrobat and artist. She is also one of the most uniquely talented individuals we've ever featured here at The Feed. She juggles. Basketballs. Five of them. Upside down. Yes, you should hit play already. Wow. In the video description, Selyna says she is going for the world record in five-ball juggling. 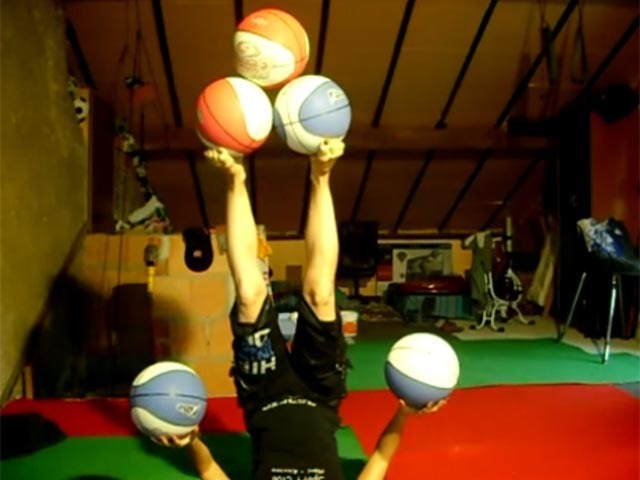 I'm now going to spend the rest of my afternoon looking up Selyna's competition in the basketball-foot-juggling world. For now, check out her Facebook page HERE for more videos and info.